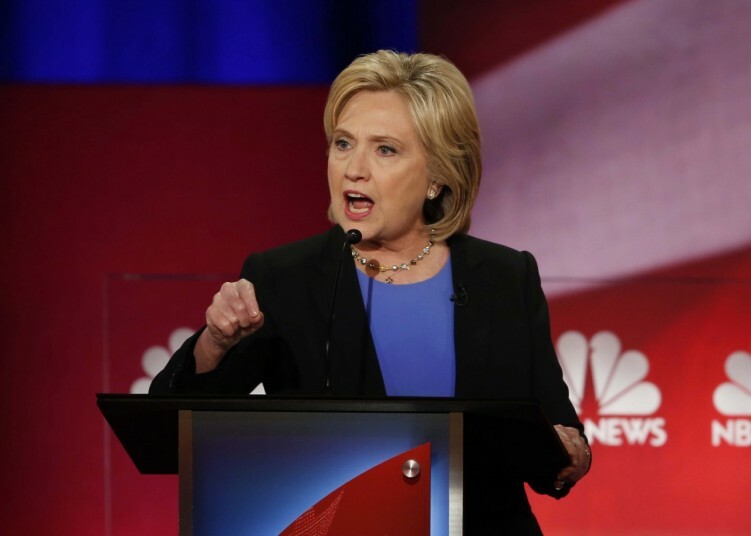 In Sunday’s Democratic debate, several things became clear. One of them is that Hillary Clinton, who tends to do much better in debates than in other forums, didn’t do very well at all. John Podhoretz wrote in his New York Post column that Senator Bernie Sanders wiped the floor with her. Others, like Bloomberg’s Mark Halperin, graded Sanders above Clinton. And remember this: Debates are the one forum where Hillary Clinton has in the past done well. She’s much worse on the stump and in press conferences and interviews than in debates. Yet Clinton fell short even in the area she’s supposed to excel. A second observations: The Democratic Party’s leftward lurch is so dramatic that President Obama’s policies now define the rightward edge of the party. That’s rather stunning, I know, but the conservative position among Democrats is to support everything Mr. Obama had done. The base of the party — increasingly radical, increasingly revolutionary in temperament — wants to go far beyond what he has achieved. Advisers to Hillary Clinton, including former President Bill Clinton, believe that her campaign made serious miscalculations by forgoing early attacks on Senator Bernie Sanders of Vermont and failing to undercut his archliberal message before it grew into a political movement that has now put him within striking distance of beating her in Iowa and New Hampshire… the Clintons are particularly concerned that her “rational message,” in the words of an aide, is not a fit with a restless Democratic primary electorate. A fourth observation: As Sunday’s debate showed, Mrs. Clinton is now running as basically the third term of President Obama. She may tweak what he did here and there, but she is fully embracing Mr. Obama. In an election year in which anger and disgust at the political establishment and business as usual are dominant and in which only a quarter of the American people believe the country is headed in the right direction, that is a dangerous strategy to adopt. In addition, there’s a historical burden Mrs. Clinton faces: Since 1948, a political party has won three straight presidential elections only once, when George H.W. Bush succeeded Ronald Reagan, who was much more popular at the end of his second term than, in all likelihood, Mr. Obama will be. Observation number five: Mrs. Clinton may face real legal trouble. Right now there are two FBI investigations, and Mrs. Clinton is at the center of them. The most prominent one has to do with her private email server; the other is whether the possible intersection of Clinton Foundation work and State Department business may have violated public corruption laws. It wouldn’t be at all surprising if the FBI recommended an indictment of top aides to Mrs. Clinton and even Mrs. Clinton herself. Whether the Attorney General would act on such a recommendation is another matter – but if the FBI recommends an indictment of the former First Lady, it will be a devastating blow to her campaign. Mrs. Clinton is a mediocre-to-downright-bad political candidate. She comes across as stiff, brittle, inauthentic, cold, and unprincipled, in addition to being an ethical mess. She has no vision and is, to borrow a formulation from her husband, a bridge to the past. Hillary Clinton is one of those candidates where the less you see her, the more you like her; and the more you see her, the more you’re reminded why you don’t. Unfortunately for her, when you run for president you can’t hide.